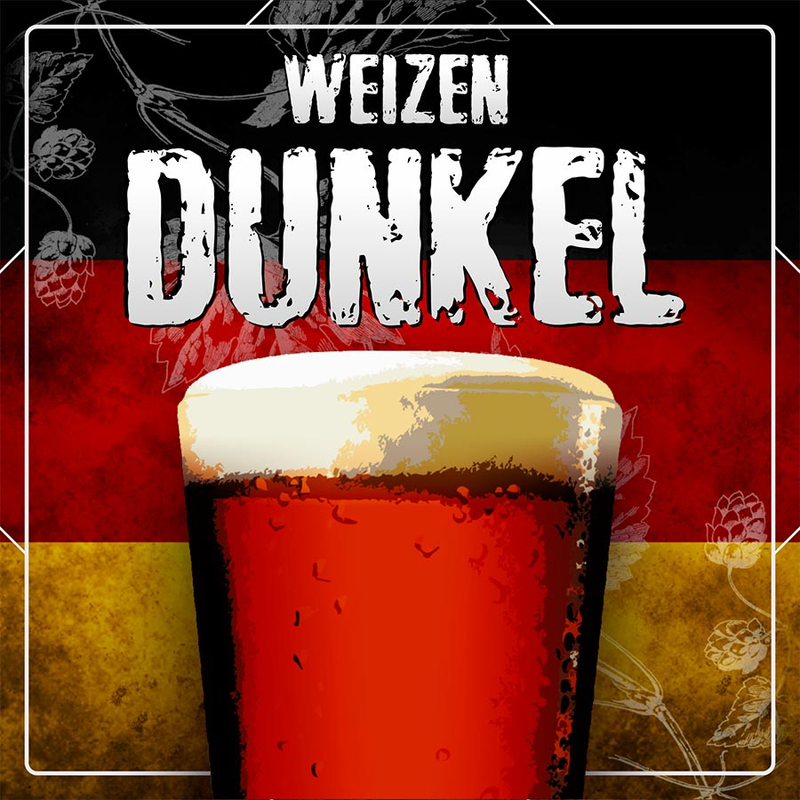 Weizen Dunkel (also called Bavarian Dunkelweizen) is a dark beer made from wheat malt. The aroma is delicate, accompanied by flavors of fruit, banana and cloves, but at the same time the caramel notes of dark malt give a sweet base. Attention: depending on the availability of stock the kit could be composed of dry malt or equivalent amount of malt in syrup. Ingredients Dry WHEAT and BARLEY Malt Extract, BARLEY Malt Grain, Hop, Dry Yeast. It may contain traces of OAT, SPELT, RYE. Preservation Store in a cool dry place.